 Without an effective policy for destroying documents and media, your business could be the victim of fraud. 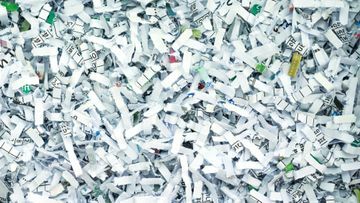 Make sure that important paperwork doesn’t end up in the wrong hands by using our shredding services. Without compliant document destruction processes or policies, your business could find itself paying a hefty fine to the Information Commissioner’s Office. Choose our services to ensure you are compliant. 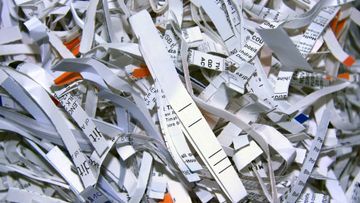 You can acquire our confidential shredding services through our website or by contacting us directly. Our experienced and knowledgeable team are on hand to discuss your needs and provide expert advice. CONTACT US NOW TO RECEIVE MORE INFORMATION ABOUT OUR CONFIDENTIAL SHREDDING SERVICES. 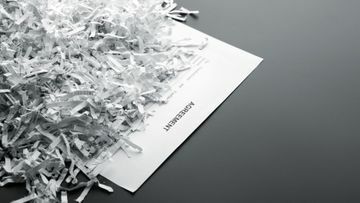 When you need to dispose of secure documents and media, choose our professional shredding services. At RDS Confidential Shredding Ltd, we have specialised in shredding for more than 30 years. Offering on-site and off-site solutions, we provide reliable, secure, and confidential shredding that is tailored to your business’ needs. Alongside our high-quality services, we also maintain market-leading customer care. RDS Confidential Shredding Ltd is a proud member of the British Security Industry. Call or email us now for more information on our services.